Mandi E.P. Samson has served as Acting Managing Director of Air Namibia since August 2015. She is currently the Chairperson of the Airlines Association of Southern Africa (AASA) and served as a member of the 2018 Nominating Committee of the IATA Board of Governors. She previously served in the Office of the Attorney-General of Namibia, and later was employed as General Manager: Corporate and Legal Services at Namibia Airports Company (NAC). Mandi has served, among others, as the Chairperson of the Board of Trustees of the Government Institutions Pensions Fund (GIPF); a Commissioner of the Law Reform and Development Commission (LRDC); a member of the cabinet-appointed task team on the De Beers Sales Agreement; as Chairperson of the Board of the state-owned Epangelo Mining Company (Pty) and its subsidiaries. She continues to serve as Commissioner of the Minerals Ancillary Rights Commission (MARC). 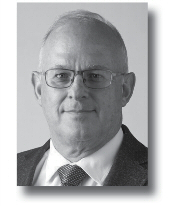 Chris Zweigenthal qualified as a Civil Engineer at the University of the Witwatersrand in 1978, obtained his Graduate Diploma in Engineering in 1985, and worked for 10 years in the construction industry. In 1988, he joined South African Airways, where he held senior positions in the Petroleum Affairs, Flight Operations, and Marketing Planning departments, and was then appointed Managing Director of SA Alliance Air based in Kampala, Uganda. Upon his return to South Africa in 2000, he headed up Global Passenger Services until he left South African Airways in November 2001. In February 2002, Chris joined the Airlines Association of Southern Africa (AASA) as Deputy Chief Executive and was appointed Chief Executive on 1 March 2009. Chris is active in supporting the growth and sustainability of airlines in the Southern African region, working with public and private stakeholders across the aviation industry. He is a regular participant and contributor to SADC, ICAO and IATA initiatives in the region. He is a Director of Aviation Co-ordination Services Limited, a company responsible for several airport services managed on behalf of all airlines operating in South Africa; a Director of the Tourism Business Council of South Africa; and Alternate Director of the Commercial Aviation Association of Southern Africa. Vusi Thembekwayo is the the Founder and CEO of MyGrowthFund and Iconoclast Knowledge Bureau (IC Knowledge Bureau). He is a venture capitalist; a renowned global business speaker; and the author of The Magna Carta of Exponentiality – a business mogul who has successfully built and transformed businesses in South Africa and abroad. Vusi doesn’t just talk about business, he lives it. He does more than inspire revolution, he initiates it. He has been a catalyst for change in businesses across the globe through expertise in strategy, leadership and culture. Through his international speaking engagements, more than 21 countries and 350 000 audiences have experienced Vusi. 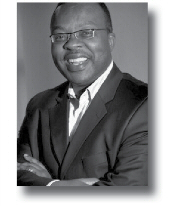 Vusi is a board member of the South African Venture Capitalist Association. In 2017, SME South Africa announced he was one of the eight entrepreneurs who had a stellar year. 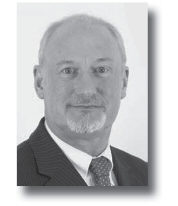 Paul Steele is Senior Vice President of Member and External Relations, and Corporate Secretary of IATA. He is responsible for guiding and implementing IATA’s strategic advocacy and stakeholder relationship activities worldwide. 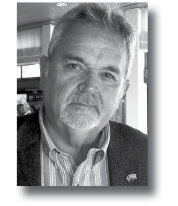 Paul served as the Executive Director of the Air Transport Action Group (ATAG), a cross-industry body that promotes sustainable aviation, from 2008 to 2014. He currently serves as a member of the ATAG Board of Directors. Prior to joining IATA in December 2007, he was the CEO of World Wildlife Fund (WWF) International. Before WWF, he had over 20 years’ senior management experience with major international companies. His roles included Chief Executive of The Virgin Trading Company; Senior Vice President Sales, Marketing and Information Technology of the Hilton Hotel Group, covering 150 hotels in 50 countries and overseeing a sales and marketing team of 1,000 people; and various senior roles at Pepsi Cola International, lastly serving as Group Vice President in charge of Northern Europe. Paul holds a Bachelor degree in Business Administration with French; and a Diploma in Industrial Studies from Loughborough University; and is a former faculty member of the Prince of Wales’s Business and the Environment Programme run by Cambridge University. Digital transformation: The future for better customer experience. 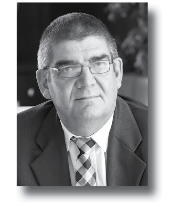 Thomas (Tommie) Snyman is an Intelligent Transportation System (ITS) Industry Expert at Huawei Technologies South Africa. He is the current President of ITS SA and contributes and shares his extensive industry knowledge. He obtained his MBA degree from the North West University, Potchefstroom and is a firm believer that any business or industry cannot function optimally without the correct technology. Thomas started his career in the telecommunication industry and progressed through various disciplines. After completing his MBA degree he decided to make a career change and took up various positions in the ICT industry. He was approached by one of the big 5 consulting firms to assist and take the lead in a Provincial Housing Re-engineering in Gauteng and a Presidential Transportation re-engineering project in the Eastern Cape. Thomas was actively involved in the detailed design of the first Interoperable Fare Management System and Automated Fare Collection Systems in 2008. He lead a team involved with the design and roll-out of the Rea Vaya BRT Phase 1B project and was also involved in the A Re Yeng BRT system in Tshwane, he then joined the Ekurhuleni Metropolitan Municipality Integrated Public Transport Network project as Divisional Head ITS. Thomas’ extensive knowledge about the “Smart Bus” solution requirements has assisted him in taking the Transport Technology requirements to the next stage in the business/technology maturity cycle. It is his belief that the Smart Bus is only one of the key sectors in the total Smart City Road Map and solution that Huawei Technology provides globally. Bridging the communication and delivery gap between the aviation industry and the customer. 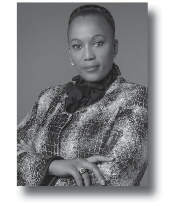 Considered one of the most influential women in business, South African business speaker, successful entrepreneur, industry pioneer and accredited skills facilitator Mummy Mthembu-Fawkes is the epitome of entrepreneurial excellence and a shining example of women’s ability to prosper in the world of business. As a professional speaker and strategist, she’s a proudly African multi-potentiality leaderpreneur with a global outlook. Without any formal university qualifications, an ambitious and determined Mummy had the power of choice - she decided not to let circumstances inhibit her dreams and successfully climbed the corporate ladder landing her in specialist, strategic and leadership roles in the telecommunications and IT sector. Mummy has served as the Head of Business Development at MWeb, and Senior Account Manager for MTN. After 14 years in the corporate sector, she developed and founded her successful natural hair-care range Earthy_SA in 2014 which is recognised and available in every province in South Africa, and now venturing into the rest of Africa, and beyond. Being a millennial leaderpreneur herself, Mummy is passionate about generational synergy in business, and connects with the audience through humour and storytelling. She walks the talk with the experience of leading and coaching different generations in the current business sphere, and bridges the gap by assisting leaders and organisations understand what they can learn from Generation Y, who view leadership, the workplace, communication and brand loyalty differently to previous generations; how to get the most out of them; and creating cognitive multigenerational workplaces. Matching the passenger’s airport and airline expectation with their experience. Blacky Komani, who holds a BAdmin (Hons) from the University of Fort Hare and a Master of Tourism Administration degree from George Washington University, has been involved in the tourism industry since 1985, among other positions, as General Manager for the Americas of SA Tourism. In 2002 he was appointed as Sales and Marketing Director for Karell’s African Dream Vacations, an American-based travel agency; and South African Airways Holidays in the USA, becoming Managing Director in 2004. He also served as the CEO of 1time Holdings from 2011 to 2013. Blacky is a former Marketing Director of American Express Foreign Exchange and is a long-standing member of the Group’s board and executive committee. He has a distinguished record with Tourvest, starting in 2006 as a Non-Executive Director. He is in charge of Tourvest’s On-The-Ground Duty Free business. 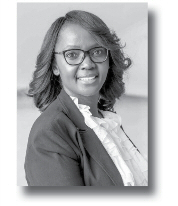 Bongiwe Pityi-Vokwana, an admitted attorney of the High Court of South Africa, joined Airports Company South Africa (ACSA) in August 2000 as the Manager of Landside and Car Park Operations at what was then Johannesburg International Airport. She is an experienced executive with an 18-year demonstrated history in the aviation industry. 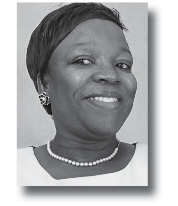 In 2005, Bongiwe was appointed Assistant General Manager at Durban International Airport. In 2007, she served as the Operational Readiness Planning Director entrusted with the transition from the old airport and led a team that successfully launched South Africa’s first greenfield airport overnight, within an 8-hour limited window of convenience, in time for the FIFA 2010 Soccer World Cup. In May 2010, Bongiwe continued to serve at King Shaka International Airport as the Assistant General Manager responsible for Airport Operations. In 2012, she was relocated to Guarulhos International Airport, São Paulo, Brazil as Deputy Director for Operational Readiness Planning where she led a team that successfully commissioned and opened the new terminal building within timelines prescribed by the National Civil Aviation Agency of Brazil (ANAC) in time for the FIFA 2014 Soccer World Cup. 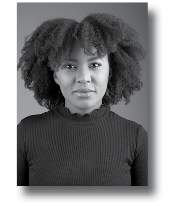 Upon her return to South Africa in 2014, Bongiwe was promoted to General Manager of O.R. Tambo International Airport, a position she still holds today. Agness Chaila is the current Director Airport Services at Zambia Airports Company Limited (ZACL). Having joined ZACL in 2002 as the Assistant Airport Manager, she was promoted to Airport Manager in charge of Harry Mwaanga Nkumbula International Airport (HMNIA) in 2003. In 2008, Agness moved to ZACL Head Office as the Planning and Business Development Manager responsible for planning, business development, billing, service levels, client interface, contracts management and marketing whilst overseeing these activities at the airports. 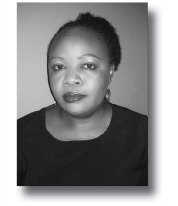 In 2015, Agness left ZACL to join the Zambia Development Agency (ZDA) as Director Investments in charge of investment promotion for Zambia; facilitating international and local business forums; and providing aftercare to the establishment of new business ventures in Zambia through cross-liaison with other government departments. Agness rejoined ZACL in 2016 as the Director Airport Services responsible for business development, marketing and operations at the four international airports: KKIA, SMKIA, HMNIA and MFU; and responsible for liaison with stakeholders which includes airlines and other clientele. 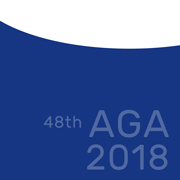 Agness holds a Master’s Degree in International Economics and Political Relations, specialising in International Trade from the University of Economics in Poznan, Poland. In his present assignment, Maneesh Jaikrishna has the overall P&L responsibility of the Indian Subcontinent, Dubai, and Eastern and Southern Africa including areas of sales, operations, delivery, customer satisfaction and account management. Having this responsibility, he heads a team of professionals catering to the airport, airline and government sectors while driving SITA’s focused strategy in the high growth Indian marketplace. 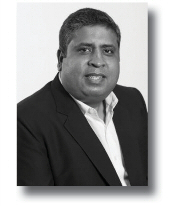 Maneesh first joined SITA in 2000 and has extensive experience in travel and transportation domain. Prior to SITA, he worked in ELCOME India as Senior Manager of Sales and Marketing, and dealt with marine electronic navigation, positioning, communication, survey and computer-based aviation/marine simulator systems. An Indian national, Maneesh has a first class BE Honours Degree in Electronics and Telecommunications from Mumbai University, and has completed his Executive Master of Business Administration degree program from IMD, Switzerland with outstanding grades and a distinction for his thesis. 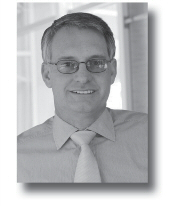 Erik Venter serves as the CEO at Comair Limited, and also as an AASA Executive Committee member. He joined Comair in 1996 as Financial Manager, and has held various positions within the company including Commercial Manager, Commercial Director and Financial Director. In July of 2006 Erik was appointed as Joint CEO of Comair and served in this position until December 2011 when he assumed the sole responsibility for the company as CEO. Erik has also served a term as Chairman of AASA from 2013 to 2015, and is currently a director on the board of Imperial Air Cargo (BidAir Cargo aquired Imperial Air Cargo in 2014). Erik holds a Bachelor of Commerce from the University of Cape Town, and Post Graduate Diploma in Accounting from the same University. He completed his articles with KPMG qualifying as a Chartered Accountant (CA) (SA). Developing intra-Africa trade including cargo and enabling intra-African free movement of aircraft and passengers – challenges and opportunities. Jean-Jacques Cornish has been a journalist all his adult life. 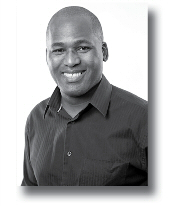 He is heard regularly on both Talk Radio 702 and 567 CapeTalk where he is the Africa Correspondent. He is also a correspondent for Radio France International and a regular contributor to the BBC, and radio stations in Ireland and New Zealand. Having been a print journalist for more than 30 years, Jean-Jacques spent three years covering parliament for the South African Press Association (SAPA) and was then posted abroad where he served as the London Bureau Chief and special correspondent to the United Nations. Jean-Jacques has previously served as the assistant editor of the Pretoria News, diplomatic editor for the Independent Group; and editor of The Star and the SA Times International. 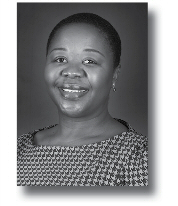 Poppy Khoza is currently the Director of Civil Aviation at the South African Civil Aviation Authority (SACAA). She has over 15 years’ experience in senior aviation management positions. Until recently, Poppy served as Chairperson of the International Civil Aviation Organisation’s (ICAO) Aviation Security Panel for two consecutive years. ICAO is a specialised United Nations agency responsible for standardising and administering the safety and security of civil aviation operations around the world. Poppy is the recipient of a many awards, the most recent being the Best Chief Executive Officer Award, which was conferred on her during the 2018 Annual Transport Awards, hosted by the Minister of Transport (also won in 2015, and runner-up in 2016); named the Business Leader of the Year during the annual Oliver Empowerment Awards held in April 2018; winner of the 2016 Public Service Leader of the Year award, conferred during the 15th Oliver Empowerment Awards; winner of the Agencies and Regulatory Authorities category during the 2012 South Africa’s Most Influential Women in Business and Government Awards; a 2014 finalist in Africa’s Most Influential Women in Business and Government. In addition, and under her stewardship, the SACAA scooped the Best Performing Institution in Transport Award on four occasions; was bestowed with the Top Performing Public Service Award at the 2015 National Business Awards; and in 2017, won the National Business Awards’ Public Service Award, as well as the Investing in People Award. The SACAA also received, for five consecutive years, the Auditor-General of South Africa’s Clean Audit Award. Under Poppy’s leadership, the SACAA continues to make strides in improving aviation safety and security in South Africa, as attested by the results of the May 2017 ICAO Universal Safety Oversight Audit Programme (USOAP) audit. The results indicate that South Africa has increased its compliance rating and, notably, did not attract a significant safety concern. Poppy has championed the transformation of the SACAA and it now boasts 50% capable women Executives, a historical achievement under her stewardship. She is passionate about meaningful change and aspires to provide good leadership in the aviation sector, in the interests of continued outstanding performance. Tefera Mekonnen is the Director of Air Transport of the African Civil Aviation Commission (AFCAC), responsible for Air Transport, Aviation Security and Facilitation, and Environmental protection. Prior to joining AFCAC, he had eight years experience working as the Permanent Representative of Ethiopia to the International Civil Aviation Organization (ICAO) in Montreal, Canada. 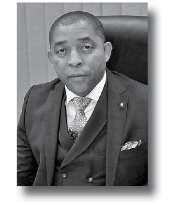 During his tenure as Representative to ICAO, Tefera was actively engaged in the works of the AFI Group at ICAO and in sensitising States through his effective participation in the development of the draft Common African Aviation Policy (AFCAP), the Abuja Safety Declaration and the AFI SECFAL initiatives. 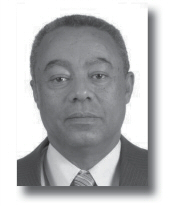 Tefera’s extensive professional experience in civil aviation spans over 36 years, with increasing responsibility during his service at the Ethiopian Civil Aviation Authority (ECAA), where he started as an Air Traffic Controller and later, Air Transport Officer and subsequently, Head of Air Transport. His position with ECAA climaxed with his appointment as the Director General. Among his achievements in this office, he directed the National Aviation Security programme, the separation of operational and oversight functions of aviation security, and the establishment of an autonomous airport enterprise. He took part in numerous Bilateral Air Service negotiations, including with China, Italy, India and the USA, and with several African countries, thus allowing for more liberalised air transport services. Tefera has served as the Vice President of AFCAC, as well as with the Air Transport Regulatory Board of the Common Market for Eastern and Southern Africa (COMESA), and was an active participant in the COMESA/SADC Air Transport Liberalisation Committee, including the preparation of the Common Competition Rule for COMESA/SADC/EAC, and on the establishment the Regulatory Board of COMESA. As the Alternate Head of Delegation, Tefera has led the General Assemblies of ICAO (from the 33rd to the 38th Sessions) and numerous other international and regional conferences including Diplomatic, Air Navigation and Air Transport. Tefera holds a Bachelor of Arts and Economics degrees from Addis Ababa University; and Diploma’s in Air Traffic Control Services, Diplomatic Training at UNITAR, Senior Aviation Management at the International Aviation Management Training Institute (IAMTI), Montreal; and Transport Regulation for Anglophone Africa, The World Bank Institute. 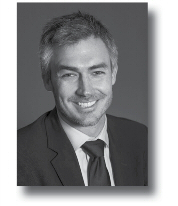 Tim Harris is the CEO of Wesgro, the Official Tourism, Trade and Investment Promotion Agency for Cape Town and the Western Cape. Cape Town Air Access is a partnership between Wesgro, the City of Cape Town, the Western Cape Government, Airports Company South Africa, Cape Town Tourism and South African Tourism, and is supported by Naspers, Tsogo Sun, Investec and the Leeu Collection. This unique public-private collaboration’s key objective is to land more direct routes into Cape Town International Airport. Since its inception in 2015, it has succeeded in landing 13 new routes, and 17 route expansions, adding over 800,000 one-way seats into the airport. Tim previously served as a Member of Parliament and Shadow Minister of Finance for the Democratic Alliance (DA). He currently sits on the board of Cape Town Film Studios. Tim holds a BA in English Literature and a Masters in Economics from the University of Cape Town. Thabani Myeza joined Air Traffic and Navigation Services (ATNS) in 2015 as Executive for Commercial Services. In this portfolio he is in charge of growth strategy implementation for the organisation. He has extensive experience in developing and implementing growth and new market strategies, including the establishment of expansion operations both in South Africa and the region. Thabani has worked for organisations such as Tata Africa, General Electric and Vodacom focusing on managing regional policy and regulatory dynamics with a view of understanding the impact on the business, and creating alignment with the operating environment. He also focused on developing and packaging new project opportunities in the broad utilities (water and energy) space for Rand Water, General Electric and SembCorp Industries. His career transcends diverse industries. He co-lead the establishment of commercial business services for Rand Water in the region. Prior to this he was part of the team that set up Vodacom business in the Democratic Republic of Congo (DRC). While working on various projects and initiatives, he has gained exposure to regional and international organisations such as the World Bank, European Investment Bank, NEPAD Agency and the WEF. Thabani holds a BCom (Accounting) from the University of Zululand, and an MBA in General Management from Texas Southern University. Improving intra-Africa travel through competition, partnerships and collaboration – fact or fiction? Vuyani Jarana was appointed as CEO of the South African Airways Group (SAA) on 1 November 2017, after an exemplary career with Vodacom mobile communications company, which he left as Chief Officer of its Business Division. With his proven track record of sound leadership and success, he is an excellent choice to take SAA forward into a successful future. His deep understanding of strategy-formulation processes, ability to work with people and navigate complex issues, and his mix of humility and robust fortitude, have given him the ability to succeed against difficult odds. At Vodacom, Vuyani focused on building a strong team and developing technological capabilities that would see the Group become an industry leader. His passion for people, customer service and results, and his resilience, drive and competitiveness will stand him in good stead as he takes SAA into a new era. In 2000, he joined the Vodafone Global Leadership Programme, the company’s prestigious initiative aimed at developing leadership capacity within the Group. He was appointed as Vodacom’s representative in major stakeholder engagements in the Eastern Cape Province. As Operations Manager Southern Gauteng, he led a team that unearthed a major software defect in the Motorola radio system. In 2003, he was awarded a CEO’s Award for this achievement, which he immediately attributed to his team’s efforts. 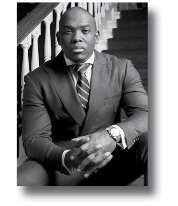 In 2004, he was the first to join the elite Vodacom Advanced Executive Programme. In 2005, he was appointed as a Managing Executive East Region, with a focus on regaining market share. He was appointed to a newly created position as Director of Regional Operations in 2009. Within three months he had made major changes which led to new regional growth and an improvement in customer experience. In 2010, he was appointed as Group Chief Operating Officer, with Customer Care and Facilities Management added to his portfolio. He drove the implementation of self-service channels and the remote configuration of mobile-phone settings, a major reduction of traffic to call centres. During this time, he was also Acting Managing Director of Vodacom South Africa for six months. In 2011, he was appointed Chairman of Stortech, a Vodacom subsidiary that was facing a decline due to technology transitions, changing the company’s strategy to focus on services and diversification. Today Stortech is growing from strength to strength and in many areas, is beating its competitors. Also in 2011 he was appointed Chairman of Mezzanine, a start-up company established to focus on digital health. He expanded the company’s focus to include educational and agricultural solutions. Today it is a solid pan-African digital services provider in areas such as agriculture, education and healthcare delivery helping national economics leapfrog under development cycles. In 2012, he was appointed as Chief Officer Vodacom Business, which included the integration of Vodacom Business Africa into the Enterprise Portfolio. The integration was successful and defined a new operating model for Enterprise for the Vodacom Group. His focus in the new role was to stem losses in the Vodacom Business Africa Group. By the end of the first year, the group had broken even. Since then he has focused on driving growth for Vodacom Business Africa and has achieved success despite the fragility of Africa’s currencies. After his appointment he spotted the potential of machine-to-machine solutions, now called the Internet of Things. M2M was started, which today is worth half a billion rand and projected to grow by billions over the next three to five years. In 2017, he was awarded the University of Stellenbosch Business School’s Alumnus of the Year. Agnes Khunwana is the General Manager of Air Botswana. She joined the airline in 2015 as a Finance Director and six months into the role was appointed to act as the General Manager. She was in this acting capacity for three years until May 2018 when she was substantively appointed to the role. Agnes has diverse industry and private sector experience spanning over 25 years. She brings to the aviation industry a mix of experiences from diamond mining, banking (both as a commercial banker and regulator for the Central Bank), oil and energy (having worked for Shell, now Vivo Energy), as well as FMCG industry experience. Agnes has exeptional business acumen, she is results-driven and a dynamic leader who is experienced in turning around poor performing organisations to profitability. A leader who has gone beyond the finance profession to working and leading diverse teams. She upholds ethical and corporate governance values and principles. She currently sits on the Citizen Entrepreneurial Development Agency as well as the Non-Bank Financial Institutions Regulatory Authority Boards. She was previously a member of the Civil Aviation Authority of Botswana as well as Legal Aid boards. Agnes is a Fellow of the Chartered Institute of Management Accountants globally with nearly 20 years of post-qualification experience. She graduated from the University of Botswana with a BCom Accounting degree, is an Associate Banker and also has an MSc In Strategic Management. 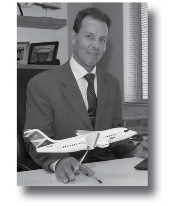 Rodger is a past Chairman of the Airlines Association of Southern Africa (AASA). Proflight Zambia’s Managing Director Tony Irwin is a Zambian citizen with over 38 years of experience in the nation’s aviation industry. Tony graduated from Oxford Air Training College, winning the Best Commonwealth Student Award, before joining the then national airline, Zambia Airways, aged 20. Just three years later he was awarded his captaincy, making him the youngest captain at the airline. Tony flew with Zambia Airways form 1980 to 1988, then flew Boeing 737 aircraft for Transavia in the Netherlands for almost two years before returning to Zambia in 1989 to run Sigma Air. 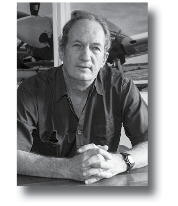 In 1991, Tony founded Proflight with one aircraft – a five-seat Baron piston aircraft - and three staff. Six years later the airline made its first scheduled flight, to Mfuwe, with an eight-seat Piper Chieftain, and then in 2005 its first turbo-prop aircraft, an 18-seat Jetstream 32, was introduced. The airline now operates a 50-seater Bombardier CRJ-100 jet, three 29-seater Jetstream 41 aircraft and two C208 Caravans, and is scheduled to take delivery of a Dash 8-300 aircraft in the fourth quarter of 2018. The Zambian airline has expanded dramatically in recent years, launching international routes to Lilongwe in Malawi, Durban in South Africa and Harare in Zimbabwe, adding to the ten domestic routes currently served.